When you drive an INFINITI, it’s only natural to grow attached to the prestige, performance, and luxury associated with a world-class driving experience. At INFINITI of Easton, we strive to provide each of our clients with an unparalleled INFINITI experience through careful attention to customer service and a commitment to exceeding your expectations at every opportunity. When it comes time for service or maintenance, you’ll enjoy a collection of amenities you won’t find at your typical INFINITI Service Center. 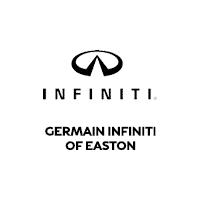 Even with your busy schedule, Germain INFINITI of Easton makes it easy to give your vehicle the care and attention it deserves. From the comfort of your home, office, or virtually anywhere — you can select the service you desire along with the time that works best for you. It couldn’t be simpler! Servicing your INFINITI no longer has to interfere with your daily schedule. We offer our clients access to our fleet of 15 INFINITI Courtesy Vehicles to help you get where you need to be while our factory-trained technicians service your vehicle. All you need to do is request a Courtesy Vehicle when scheduling your appointment. With our complimentary Concierge Service, getting your INFINITI serviced is as simple as handing your keys to our Concierge Professionals. We offer door-to-door pickup and drop off transport service along with. making your INFINITI service experience as hassle-free as possible. Your INFINITI will be returned to you freshly washed and vacuumed. Since driving a freshly-cleaned car is always a rewarding feeling, you’ll receive a complimentary car wash and interior vacuum (weather permitting) with every service visit at INFINITI of Easton. While you’re here, we invite you to relax and unwind in our luxurious Service Lounge. You can enjoy complimentary refreshments including premium coffee, fresh pastries, and other snacks.